The Last Minute Hitch is going into its annual hiatus. This is the last column for 2018; consequently it's time to review the aviation landscape over the past 12 months. Easily dominating the aviation year was the formation of the Australian General Aviation Alliance (AGAA) and the revitalising summit in Wagga Wagga. Over the two days, representatives of the GA industry compiled a rescue package of actions for dispatch to Canberra, accompanied by the strongest MAYDAY call that GA has ever sent out. It was powerful, direct and carried an energy that has been lacking in advocacy for a few years. Combined with promised support from both the blue and the red sides of the House of Reps, the AGAA resolutions carried high expectations. However, in the five months since, there has been only vague evidence of action in Canberra. The government has said the issues were delivered into the hands of the General Aviation Advisory Group (GAAG), but as yet we haven't seen any of the requested advice. GAAG meetings are few and far between, which means any outcome must necessarily take time. And once it is presented, the government is likely to add further delay before making the outcomes known. Sources inside the department have said that some of the issues AGAA put forward needed to be dealt with outside of the transport portfolio, and it seems those departments have more pressing issues than aviation. Those same sources have said that changes to the Civil Aviation Act to force CASA to take cost into account are likely to be presented to parliament next year, but indications are that the primacy of safety will remain regardless of its removal being the key reason for the GA summit in the first place. Cake crumbs, it would seem, are being thrown, which the government is pleased to announce they will let us eat. And now the vocal minority (also known as the Morrison government) has shaped the 2019 parliamentary year to include only 10 sitting days before parliament is dissolved for the federal election in early May. They will want to use those days to work on their election product offering, which needs to focus on vacuuming up as many votes as it can get. I can't see a lot of energy being spent on aviation, but when you're desperate, you'll clutch at any straws you can get. The year was also coloured angry with a rift between AOPA and RAAus opening wider, perhaps to an extent that it now can't be closed. Both organisations are battling like jousting knights for the grand prize: the right to say they represent the best interests of general aviation going forward. 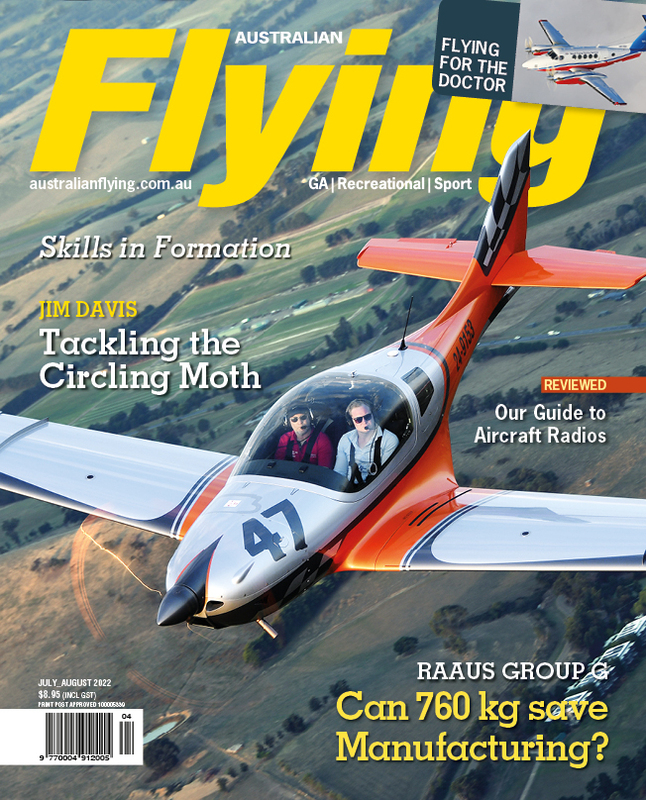 AOPA has been very vocal in accusing RAAus of encroaching on their territory, especially when a weight increase to 760 kg for RAAus looks more likely than not now. There is a fear of a flow of pilots and aircraft–particularly homebuilts–from the VH register to the numbers of RAAus. The matter was exacerbated at AirVenture this year when RAAus held a briefing that basically said they were planning to go after new liberties for their members, including access to CTA, multi engine and even aerobatics. If you take a big-picture approach to the RAAus long-range strategic plan, it does have all the hallmarks of trying to get as much GA under self-administration as possible, which is making AOPA about as comfortable as a mouse in a cat run. AOPA's position is very clear: they want all the liberties given to RAAus to be extended to GA without GA pilots having to join RAAus. The battle lines even extended to slogans, when RAAus took the enigmatic and perhaps ill-advised step of registering AOPA's tagline "Freedom to Fly" as a trademark. They did back down and release it, but only after it caused a lot of bad blood in the industry. Both had their own national fly-ins; both didn't officially participate in each other's fly-ins, simultaneously telling the world that the other was welcome and expressing bewilderment why they didn't come. We left the AOPA-RAAus saga in the Senate, after AOPA convinced the Senate Standing Committee on Rural and Regional Affairs and Transport (RRAT) they needed to look at CASA's policies on self-administration, particularly the differences in medical standards. We'll have to wait for next year to catch up on the latest episode. Towards the end of the year, most of the GA industry's focus was switched to maintenance, with both CASR Part 43 and CASR Part 135 taking centre stage. Part 43 was heralded by none other than Deputy PM Michael McCormack. This is the suite of rules that are supposedly based on the US FARs and the announcement garnered a lot of applause from the GA community. However, that took a downward turn when the policy paper showed that Part 43 wouldn't be applied to charter or joyflight aircraft, and hence cost-savings (touted by CASA themselves) would not be extended to operators of aircraft in those categories as they are in the USA. Those two operations were defined out of GA and into passenger-carrying, which is covered by Part 135. CASR Part 135 contains the operating rules for small aircraft on commerical passenger ops, but unlike the US FARs (again) has been restricted to prevent cost-savings from reaching AOCs. Although Part 135 doesn't yet state the maintenance standards, CASA has made it very clear that Part 43 and it's more economic regime won't be permitted. AMROBA's Ken Cannane has been particularly vocal about demanding CASA adopt the maintenance requirements of FAR 135 in total, which has three options that all make a certain amount of sense. What doesn't make sense, not really, is sending Part 135 to rulemaking without giving operators any indication of the maintenance standards. Aussie Matt Hall had a great season on the 2018 Red Bull Air Race World Championship circuit. but again fell achingly short of the big prize. Matt's runner-up trophy represents the third time he's finished second in the standings, and will serve only to fan the flames of ambition for the Newcastle pilot. He has been one of the most consistent racers over the past four years, tempered only by the 2017 season when he and the team were tuning in to a new race plane. You just feel he's primed to the limit for a big effort in 2019 to add the Red Bull Air Race to Australia's long list of world championship titles. I certainly don't have the courage to count him out. For the team at Australian Flying, 2018 was a year of change, with Shelley Ross retiring her pen and Senior Contributor Phil Smart moving on to corporate comms at AMDSFA. We have welcomed Kreisha Ballantyne on board and tapped some new writers who are bringing new flavours and new inspiration to the pages of the magazine. We've done a couple of surveys that tell us we're on track to mag the website and magazine valuable for our readership. One of our driving mantras is "balance." We get more positive comments about our fairness and balance than we do anything else. We plan to maintain that balance into the next 12 months and beyond; it's a point of pride. The team has also worked closely with manufacturers and importers to bring you several flight tests of new aeroplanes. In 2018 we looked at the Blackshape Prime, Piper M600, Daher TBM 930 and the new Tecnam P2008. 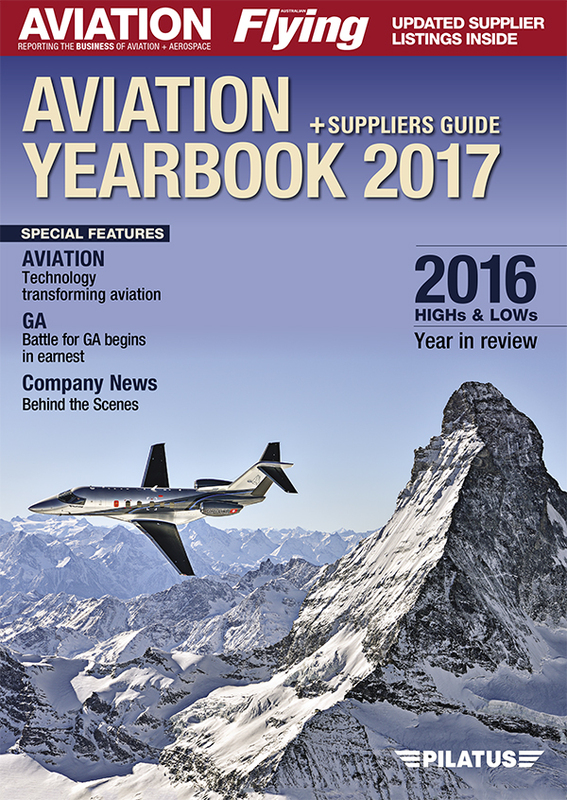 There was also a profile of the Pilatus PC-24. We also featured articles on aerial firefighting, avionics, SBAS, headsets, UAVs, AVMED, LSAs, aero clubs, charter piloting, hand-held radios, planning long-distance flights, asymmetrics and instrument ratings. There was a lot in there, and we can promise in 2019 there'll be a lot more to come. Starting now! The January-February magazine is out on the streets just looking for a Christmas stocking to call home. 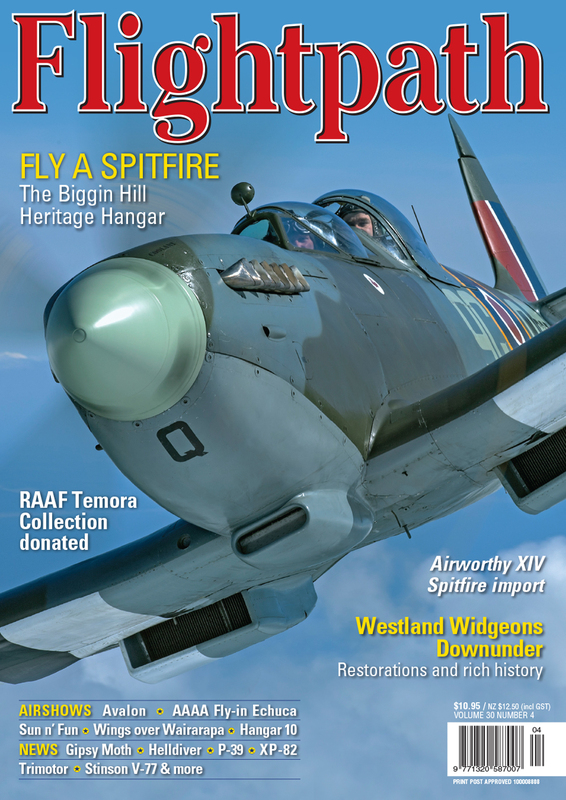 In this issue we've pitted a couple of veteran twins against each other, tested the AeroVolga Borey seaplane, presented a fantastic "How-to" on aviation photography and published for you a guide to aviation on the internet. This is just the first taste of what we expect will be a year of Australian Flying to remember.